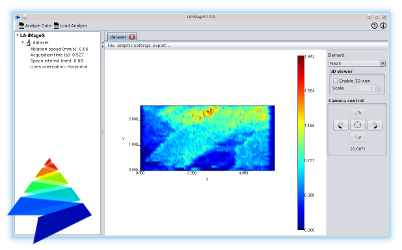 LA-iMageS is an open source, multi-platform application to generate 2D/3D images for the elements present in a set from ICP-MS (Inductively Coupled Plasma Mass Spectrometry) spectra. Extract the elements from the ICP-MS spectra. Normalize the elements by a standard. Generate custom 2D/3D representations of each element. Export the results into images.